Opponents call this an attack of the "national vegan agenda." In 2016, if several animal rights groups, including the Humane Society of the United States, have their way, Massachusetts voters will be presented with a ballot initiative setting a few basic restrictions on chickens, pigs, and cows, similar to a California measure passed in 2008. Industry groups are, predictably, freaking out. The measure would establish, by 2022, some comparatively minimal standards, but those standards would be applicable to all items produced or sold in the entire state of Massachusetts. All eggs would have to be produced in cage-free environments. All pork would have to come from pigs not raised in crates. And all veal would have to come from calves in enclosures above a minimum. These are all very reasonable demands, adhering to only the most basic animal rights concern of giving livestock enough room to, literally, move at all. The Boston Globe finds that not everyone sees it that way. They reported, “… the food industry warned it would raise prices and hurt family farmers, and the National Pork Producers Council called it an effort to advance a ‘national vegan agenda.’ ” Putting aside the insanity of calling this a “national vegan agenda,” the price raise seems like a legitimate concern. Eggs, in particular, are so cheap as to provide an essential low-cost source of protein for poorer families. Would this hike up the price too high to be affordable by the masses? Not so much, says the Humane Society. Paul Shapiro of the Boston Humane Society told Boston Herald Radio that, “In fact the egg industry did an economic analysis looking at what it would cost egg producers to go cage-free. And what they found is that it’s about a penny an egg more.” It’s more than that, to be fair, and requires a substantial investment up front to modify and often build entirely new enclosures that are compliant; a Civil Eats article found that it can cost medium-size producers millions of dollars in upgrades. But after those upgrades, the cost is slight, in the realm of 25 percent more. 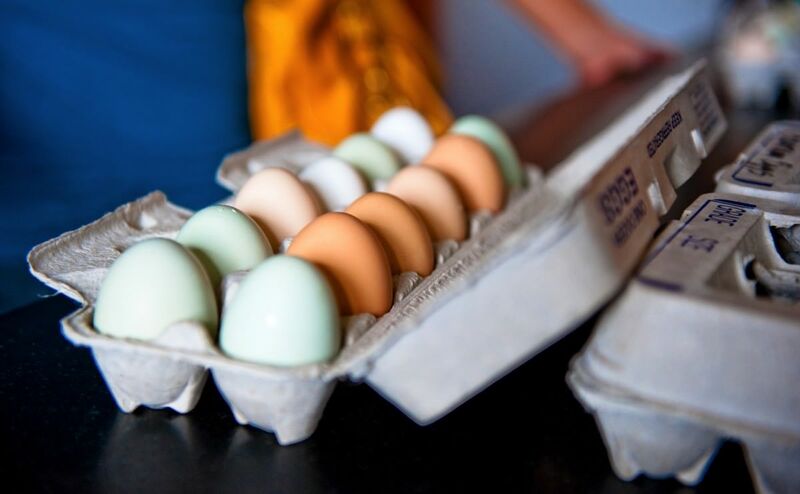 That doesn’t mean, necessarily, 25 percent more for consumers: Wholesale prices, even during this summer when egg prices have spiked, are only around $1.60 per dozen, and when stabilized, small-size eggs average less than a dollar per dozen. Even a 25 percent bump in prices doesn’t make for much of a difference in terms of actual retail prices, as long as retailers don’t similarly pass along the costs to consumers. Regardless, this is a huge step forward for animal rights activists and a big move for modernizing the livestock industry in America. The next step: the Attorney General must declare the initiative constitutional, at which point the animal rights groups can begin collecting signatures.